Here is a great tasting soup that I made the other day! It has a great Mexican taste to it and I serve it up with cheese quesidilla's. Great for dinner! 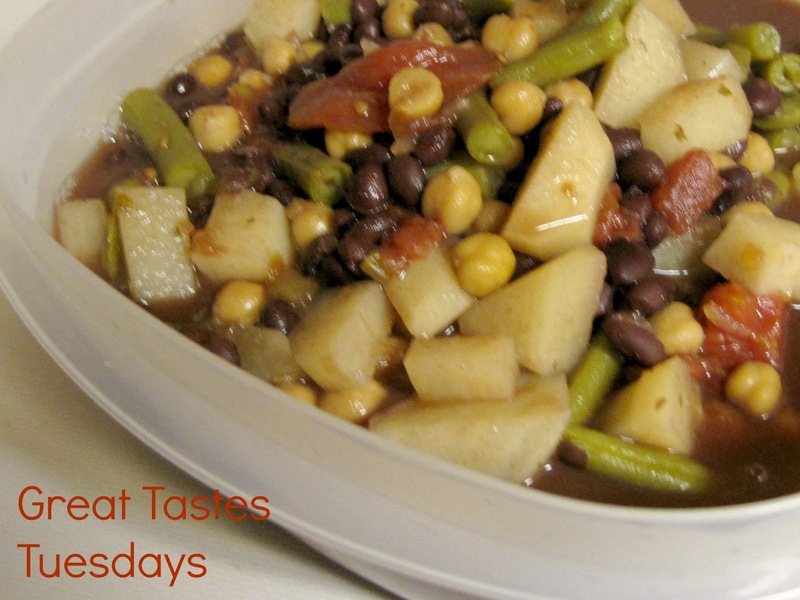 In a 5- or 6-quart slow cooker combine drained black beans, undrained tomatoes, broth, corn, garbanzo beans, potatoes, frozen green beans, and salsa.